Over the years we all accumulate so much stuff in our homes, from big ticket purchases like appliances and home entertainment, to those smaller media items like CDs, DVDs and gadgets, however if something terrible were to happen to your home… would you know what you had? A home inventory is a perfect solution to this. Unfortunate events can strike at any time, from fire to flood, burglary or loss, so it pays to be prepared. While we have never had such disaster strike us personally, I have known others who have struggled through insurance claims while trying to remember the value or the exact items that may have been lost through one of those horrible events. To make your life easier if you ever need to make an insurance claim or even product claim in the case of a warranty, having a home inventory will make this process far more streamlined and less stressful. A home inventory can include everything in your home if you are really keen, but it is unlikely you have the time or energy to record in this much detail, so instead focusing on media and electronics, as well as other valuables is a great way to get organised for your home inventory. There are two ways this can be done – paper based record or computer based spreadsheet inventory. There are benefits of both, however in the case of disaster, you want to ensure your home inventory does not get lost with everything else, so if using a paper based system, you may want to keep a copy of the list elsewhere, such as at a family member’s home, or a scanned copy online. Or both. The same can be the case with a computer based system, if your computer were to be lost, damaged or faulty, so always back up your home inventory by either emailing it to yourself or maintaining a cloud storage so your file is accessible from anywhere online. Hopefully these free downloads help you get motivated to create your home inventory now, because we all want everything to be as stress free as possible in the unfortunate case we do suffer some form of loss. 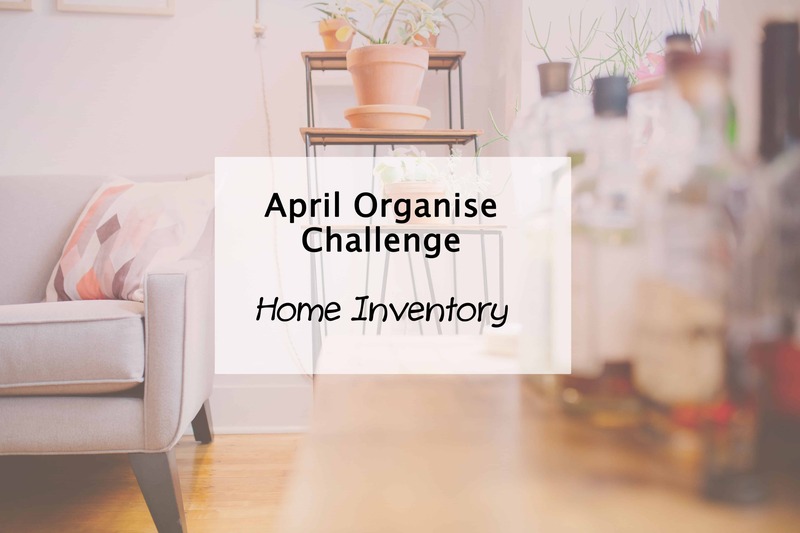 So do yourself a favour and get your home inventory sorted right now! Great idea – you never know when you’re going to need a list for insurance companies. Lists like this are particularly good if you are going on holidays! Yes, exactly. We don’t like to think worst case scenario but sometimes it happens sadly. Thanks Tonia. I know all about the big declutter. It’s exhausting business but so good at the end! What a great idea! Thanks for the spreadsheet. I suspect once I get started on completing an inventory of what we have I will also start to declutter things I don’t need! That’s great that you’ve done one though. Cloud services are the best. That’s how I store all my important documents too. Wow Holly, I wish I was organised like you!! I’m thinking I’m going to have to suss out the organisational series of yours!! Your are super organised! I’ll have to check out these downloads more closely and try to follow your lead 😉 I have been told in the last to take photos of particular rooms in your house from time to time to keep for insurance purposes to help prove you had particular items in your house. That’s an excellent tip too and it can be a good thing to take pics of serial numbers too I think, or use those invisible UV markers to write on them in case of theft. It’s not nice to think that way but definitely better to be safe.